Pam Kitty Picnic Raspberry Flowers Cotton Fabric by Holly Holderman for Lakehouse Dry Goods. Pam Kitty Picnic Raspberry Flowers Cotton Fabric by Holly Holderman for Lakehouse Dry Goods. 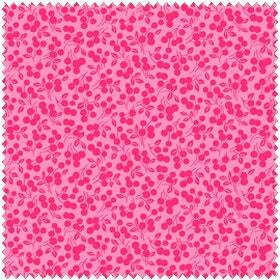 A soft and beautiful 100% cotton fabric from the Pam Kitty Picnic fabric line. A beautiful fabric to quilt, craft or for general sewing. The Quilted Nursery Fabric Store offers same day shipping. All fabric is cut directly from the bolt. Same Day Shipping! Very pretty fabric. Love the color and pattern. Shipped quickly.